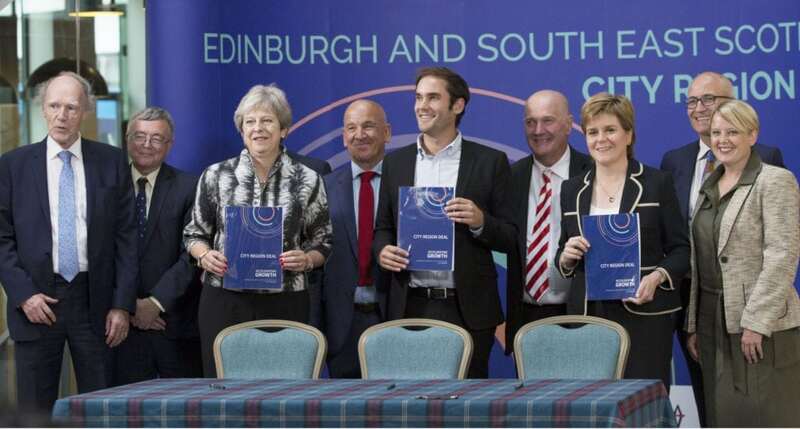 Finalised in August 2018, the Edinburgh and South East Scotland City Region Deal is a UK and Scottish government-led investment in the region where 24% of Scotland’s population live, designed to accelerate productivity and inclusive growth through the funding of infrastructure, skills and innovation. The City Region is one of the UK’s most prosperous and productive, yet 20% of children live in poverty, too many workers are stuck in low-paid, low-skilled jobs, and productivity across the City Region as a whole lags the UK average by 7%. The UK and Scottish governments, and regional partners are investing £1.1bn over 10 years in transport, housing, culture, skills and employability and innovation. The regional partners include the six local authorities of Edinburgh, Midlothian, East Lothian, West Lothian, Fife and the Scottish Borders, plus universities and colleges in the region. The University of Edinburgh and Heriot-Watt University are leading on the delivery of the Data-Driven Innovation component, which was included in the Deal in recognition of the region’s strengths in technology and data science, the growing importance of the data economy for everyone, and the need to tackle the digital skills gap. The Data-Driven Innovation Programme is aligned to the City Region Deal’s Skills and Employability component, which will improve our citizens’ digital skills through working with schools, further and higher education, employers, and training providers.